According to a universal belief of the historic Christian Church, Jesus of Nazareth was born without human father, being conceived by the Holy Ghost and born of the virgin Mary. It is the purpose of the following discussion to investigate the origin of this belief. Whatever may be thought of the virgin birth itself, the belief of the Church in the virgin birth is a fact of history which no one denies. How is that fact to be explained? In the first place, it may be held that the Church came to believe in the virgin birth for the simple reason that the virgin birth was a fact; the reason why the creed came to say that Jesus was conceived by the Holy Ghost and born of the virgin Mary is that He was actually so conceived and so born. In the second place, it may be held that the virgin birth was not a fact, but that the Church came to accept it as a fact through some sort of error. This second explanation, obviously, is capable of many subdivisions. If the idea of the virgin birth is not founded on fact, how did that idea originate? Whatever the final answer to this question may be, the question itself must certainly be raised by everyone who denies the historicity of the virgin birth. If the virgin birth of Christ was not a fact, the idea of the virgin birth certainly was; and as a fact it requires some explanation. 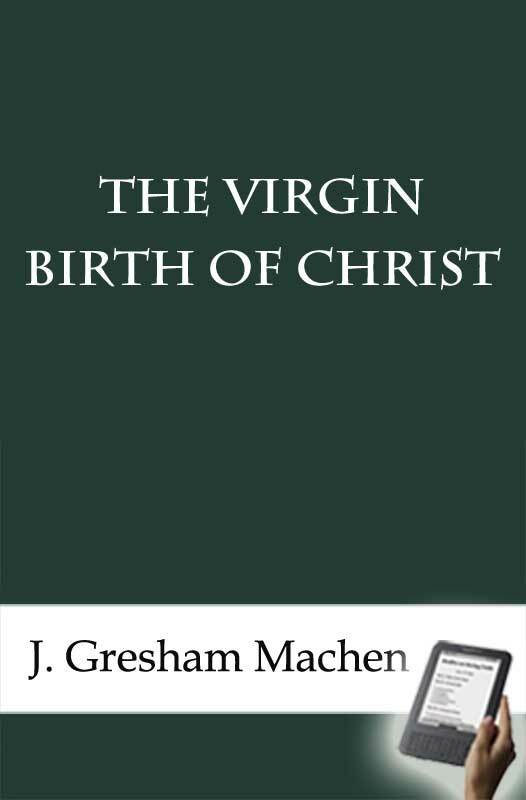 The former of the two hypotheses—the hypothesis that the belief in the virgin birth was founded upon fact—will be considered in Chapters I–XI; the latter, in Chapters XII–XIV. The consideration of the former hypothesis consists essentially in an examination of the positive testimony to the virgin birth and of the objections that have been raised against it; the consideration of the latter hypothesis consists in an examination of the alternative theories that have been proposed to explain the origin of the idea of the virgin birth on the supposition that it was not founded upon fact. Please Note: The copious ENDNOTES are not included in the ePub and .mobi versions of this eBook. If you need to look up the endnote, please consult the pdf version.